Bottom Line: a remake of a longstandingly popular and acclaimed speaker. Uncommon design choices that give it propensity to sound really great at midrange. Very solid response specs that might suffice without a subwoofer. Not as loud/powerful as some of the similarly priced competition. 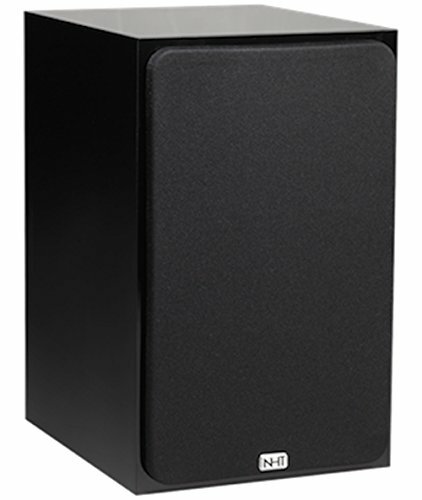 NHT’s SuperOne 2.1 is an aptly named updated version of the original SuperOne speaker, which has been a popular and acclaimed speaker since the 90s. The SuperOne 2.1 is interesting because of its rather uncommon design choices. Firstly, the cabinet is sealed, whereas most bookshelf speakers these days are ported, presumably to get as much volume and bass out of it as possible. A sealed design, if well executed, has some notable advantages: you can get very accurate reproduction, the actual cabinet doesn’t need to be so big, and placement itself becomes easier without having to worry about a port that needs room to breathe. Secondly, the SuperOne 2.1 uses a pure paper blend for the 6.5 in woofer, as well as a silk cloth blend for the dome tweeter. While most modern speakers use a polymer or metallic blend, or sometimes a thread/cloth blend, paper drivers have a real propensity for accurate reproduction since they can be truly light and stiff. Problem is they’re more prone to damage or wear and tear, and they’re not as easy to consistently reproduce like metal or plastic is. But with a top of the line five year warranty, those concerns are effectively minimized. NHT’s sales copy claims “the latest version of the SuperOne provides the same terrific sonics of the SuperZero [we reviewed that here] with enough bass response such that a subwoofer becomes optional.” Is that actually true? Hard to say, and this will always be partly subjective per the individual user. The SuperOne 2.1 has a 56 Hz response floor that stays within a claimed 3 dB differential, which is quite good, especially as part of a sealed cabinet design. 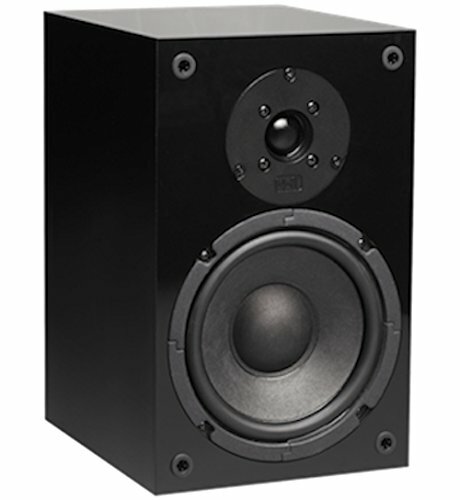 However, two-way bookshelf speakers will always be limited in their ability to reproduce lower bass while maintaining decent reproduction in the midrange. A single woofer can only do so much. Depending on what you’re listening to, and what you’re hoping to get out of a bookshelf speaker, it might be possible to not need a sub with these, which is something we definitely would not say about other popular bookshelf speakers. But, don’t ever expect a two-way bookshelf speaker to ever really have the bass that an added subwoofer or a three way speaker would bring, that’s just not realistic. Power wise these are fairly middle of the road. 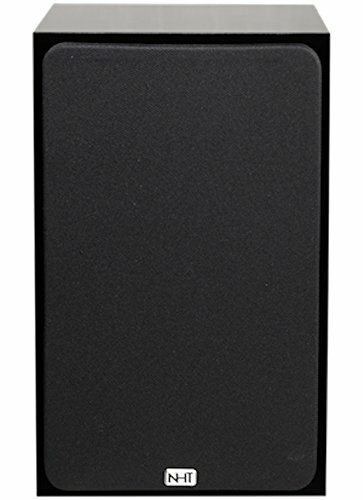 A 40 W speaker with an 86 efficiency rating is loud enough for near/mid field listening, but probably won’t cut it for a full fledged home theater system. That said, at close/mid range you’re less likely to need a subwoofer as they promise in their sales copy. Beyond that, the SuperOne 2.1 is a pretty boilerplate looking budget speaker. With covers it’s pretty indistinguishable from any of the other black MDF cabinets of other popular competitors. They’re a bit on the heavy and tall side, but the bottom surface area remains minimal. Placement of theses should be easy, especially without having to give a port space to breathe. Pretty hard to go wrong with an NHT speaker, and one that is a revamp of a product that has been popular and acclaimed for over 20 years. Add to that is the uncommon option of a sealed bookshelf speaker with a 6.5 inch paper woofer. We always like choices just for the sake of users having them. All that with a price tag that remains very reasonable and competitive. Since they’ve been released, subsequent competitors have certainly come about. If you have or are planning to get a subwoofer, you might be able to get more optimization, power, or save money on speakers that are more focused on the midrange. No right answer here – you can check out some alternative recommendations in the links below.